A lot of the time I resist the urge to make things pretty and decorative, so with this piece I let myself make smooth, lovely progressions of shapes and colors all I wanted. I was experimenting with salt on a new paper, which turned out to be a bit too absorbent to make formations, but still left sparkly pools of color. Then I got my awesome new Japanese gouache-like paints out (watercolors, but opaque!) 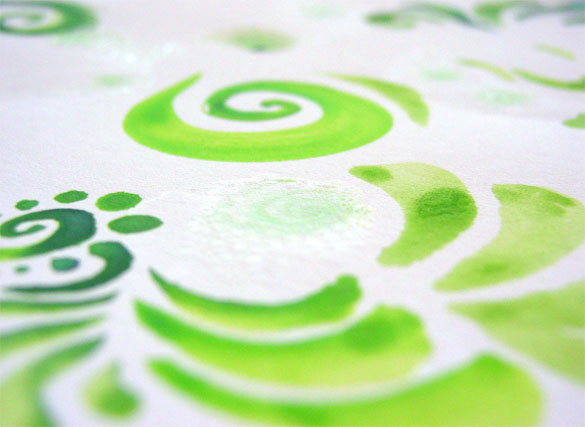 and just noodled about with two shades of green and a series of shapes and patterns. 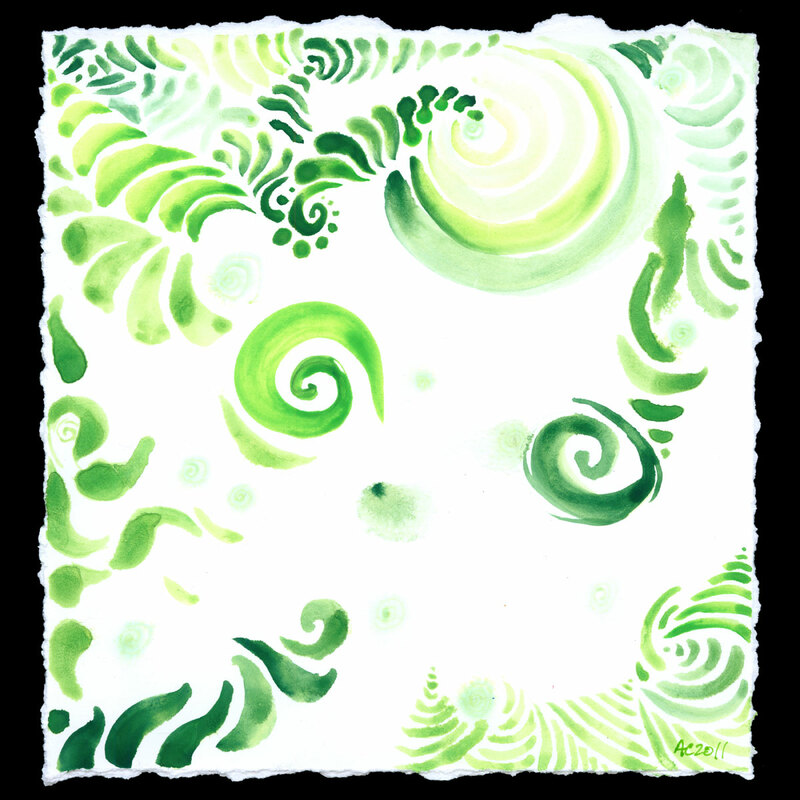 Although the scanner tends to shift it to yellow, the lighter parts of this painting are a vivid new-leaf green, and the whole thing has a lovely rough, hand-torn edge. I’m thinking of framing it with photo corners on black mat board to bring out the roughness around the edges of the otherwise smooth, decorative shapes. New Leaf, 8″x8″ mixed media on paper, nfs (sold). Even my camera didn’t really like the lighter green color, but here you can see just a touch of the salt sparkle nestling amongst the matte paint and finely textured paper.